Last month, I discussed some of the issues associated with screening tests. Because there has been so much controversy about mammography (for breast cancer) and prostate specific antigen (for prostate cancer) screening tests in recent years, I want to devote this column to an examination of some of the issues specific to these two tests. Let’s start with mammography. The procedure has a somewhat troubled (and troubling) history. The original study was done in 1963 on 62,000 women ages 40-64. Half were assigned to monitoring by breast examination, the others by breast examination and mammography. 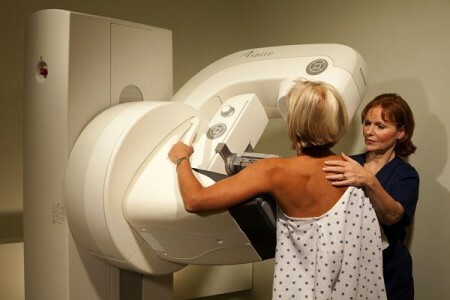 The breast cancer death rate was 30 percent higher in the women who had not had mammograms. The study, however, had a serious design flaw. Eleven hundred women had to be dropped because of previous breast cancer diagnoses. Nearly three times as many were dropped from the mammography group as from the control group violating the basic research principle of random selection. Nonetheless, based on the results of this single, questionable study, the National Cancer Institute (NCI) and the American Cancer Society launched a nationwide mammography project for All-American women age 35 and older. But it is confusing. Even if we choose to believe that mammography saves lives, there is another issue. Every year, mammography identifies 40,000 women who have ductal carcinoma in situ (DCIS). Eighty percent of these lesions will never cause a health problem, but, since we cannot sort out the problematic 20 percent, 32,000 women are unnecessarily treated for breast cancer – treatment that includes toxic drugs and tissue-damaging radiation. And it gets still more confusing. According to the British Medical Journal, if 2000 women are screened regularly for 10 years, one woman will avoid dying of breast cancer and 10 women will be treated unnecessarily for the disease. A recent World Health Organization report puts the estimate of the latter at one or two women. What caused Dr. Ablin to speak so forcefully about his own discovery? 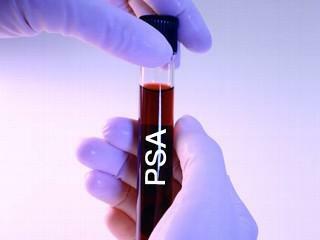 Like mammography, PSA tests find more cancers, but may not save more lives. The issue has to do with the natural history of prostate cancer. It is barely an overstatement to say that most men will develop prostate cancer in their lifetimes, and almost all of them will die from some other cause. A PSA test and a biopsy will find many of those silent cancers. Will the identified cancers cause trouble or not? There are a number of systems urologists use to try to answer that question, but the conventional standard is the Gleason Score. Scoring is complex, but basically the higher the Gleason Score the more likely the cancer is to prove deadly over a population. Whether it is accurate for individuals is another matter. But assuming a low score implies a benign prognosis and a cancer that can be safely monitored and a high score a grimmer one and a cancer requiring treatment, the issue becomes what to do (or not to do) about scores near the middle which account for over one-third of the cancers found. Prostate cancer treatment involves substantial risk of incontinence, impotence or both – risks that are clearly unacceptable for a condition that may never cause a problem. Some experts have suggested that we should not label DCIS and lower Gleason Score lesions as cancers at all. Call them something else and we will not be so anxious to rush into treatment. Are these tests of any value at all? Of course they are when appropriately used. The issue here is the overselling of their value to a general population. Do patients know that both tests will fail to pick up many cancers? Do they know that the studies are equivocal with regard to efficacy? Do they know that they may be treated for a “cancer” that would never harm them? The literature is not reassuring. For instance, a study of nearly 6,000 American and European women found that 68 percent of them believed that mammography prevents or reduces the risk of developing breast cancer. It would seem that if any procedures require mandatory informed consent, it would be these. Mammography and PSA testing constitute a $7 billon industry. That figure is for the tests alone and doesn’t take into account the biopsies, etc. that follow the tests. Could the money be better spent? We have epidemiological evidence that breast cancer and prostate cancer are environmentally based. Certainly, some of that money could be redirected to better research as to the causes. There are also drugs available that reduce the risk of both cancers. The World Cancer Research Fund and the American Institute for Cancer Research maintain that 38 percent of all breast cancers and 11 percent of prostate cancers could be prevented by simple interventions like eating a mostly plant-based diet, getting adequate exercise and maintaining a normal weight. Maybe some of that money could go toward letting people know how they can prevent the disease rather than just identifying it when it occurs. Hippocrates marked the path. “If we could give every individual the right amount of nourishment and exercise, not too little and not too much, we would have found the way to health.” It’s old advice. We should take it. Author: Burden S Lundgren, MPH, Ph.D., RN practiced as a registered nurse specializing in acute and critical care. After leaving clinical practice, she worked as an analyst at the Centers for Medicare and Medicaid Services and later taught at Old Dominion University in Norfolk, Virginia. She has served as a consultant to a number of nonprofit groups. Presently, she divides her time between Virginia and Pennsylvania and is working on two books – when her cocker spaniels let her. She can be reached at [email protected].